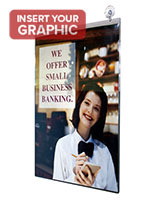 Need wholesale plastic poster frames for presenting attractive graphics and messages throughout a store or other establishment? 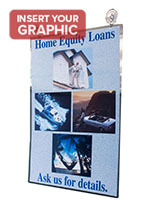 The collection of wide profile signage displays manage to combine low cost designs with a secure construction to advertise images in a visual appealing manner. 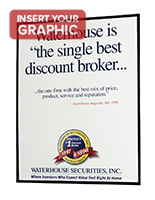 Cheap wall mounted picture fixtures are inexpensive enough for bulk purchases, so managers install banners throughout the shop without breaking the budget. 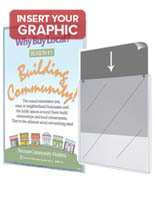 Retaining clips and sticky tabs make setting up the promotional tools very simple. 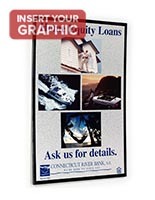 These plastic poster frames for homes and businesses, commonly called acrylic sign holders, can be purchased in different sizes to accommodate the specific dimensions of the graphics. 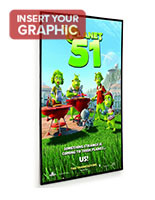 Wall mounted signage displays support small images, the standard movie prints, and larger advertisements. 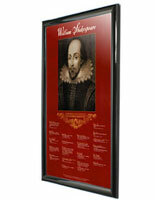 Cheap wide profile picture fixtures are designed to look like the units were constructed out of more expensive materials. 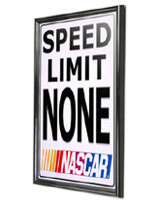 The acrylic sign holders mimic the appearance of wooden and metal styles. 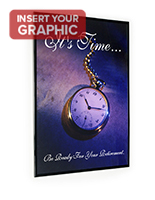 Wall mounted picture fixtures can include ornate detailing to provide a more elegant look. 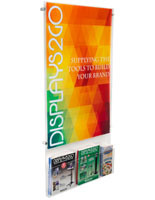 These cheap plastic poster frames are signage displays that are indiscernible from wood or metal models from over five feet away. 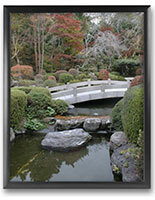 Wall mounted image supports come in different colors, such as black and silver, to best match the surroundings. 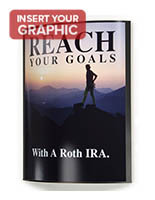 These frames will blend in nicely with the décor to ensure that all of the focus is on the graphics or messages. 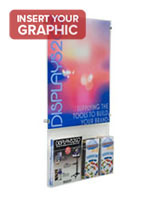 The acrylic sign holders are suitable options for retail stores, movie theaters, restaurants and countless other businesses. 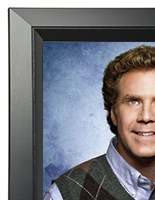 Affordable frames can be commonly found in homes and dorm rooms to improve the overall aesthetic. 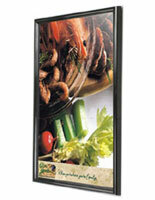 Wide profile signage displays certainly come in a size and style that will bring more attention to the advertisement. 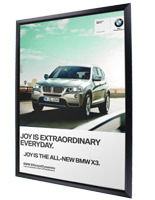 How do users attach the acrylic sign holders to the display surface? 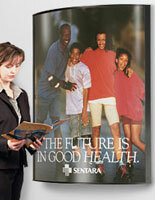 These plastic poster frames have very intuitive designs that make installation extremely simple. 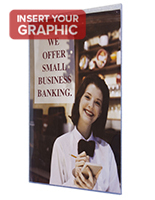 Many of the wall mounted signage displays include hanging clips on the backside. 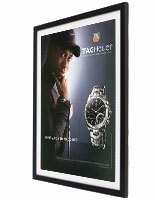 Managers can pick out a solid surface and hang the framing with a nail or screw. 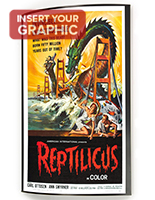 Retailers just need to slide the clips onto the protruding hardware for setup. 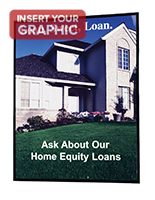 Some of the framing options include adhesive strips or dots on the backside for attachment to windows and other glass surfaces. 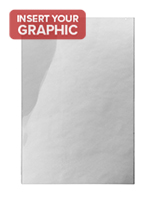 Users need to remove the covering to reveal the sticky surface. 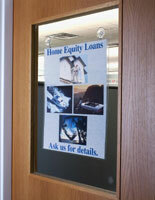 The wide profile picture fixtures can quickly be mounted to the window to present the promotional materials. 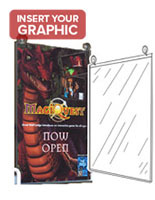 Suction cups make the installation process very easy. 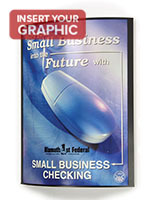 The vacuum mounts are included with the fold over models. 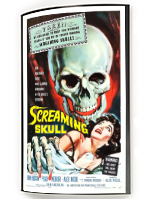 These suction cups allow users to attach the wall mounted picture fixtures to almost any non-porous surface by simply pressing down the units into position. 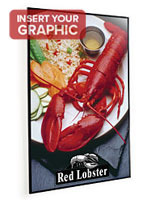 The plastic poster borders help users successfully present the graphics in the desired manner. 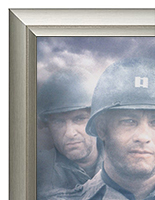 Black, silver, red and clear framing can accent certain aspects of the movie print. 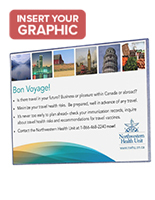 Many of the borders include a mat board to adjust the size or overall look of the contents. 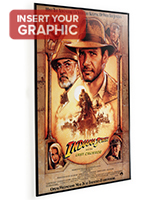 Framing options are available with a curved design to give some shape to the movie print. 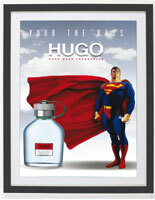 Borders make changing signage very easy. 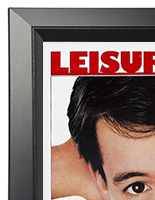 Either open the plastic poster framing from the back or open up the fold over design to slide in the movie print. 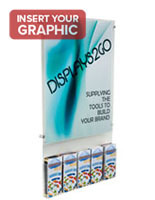 Some of the wall mounted units have knockdown constructions for fast storage. 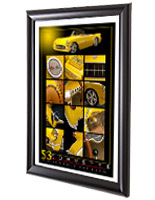 Purchase the framing solutions at a cheap price without compromising quality.